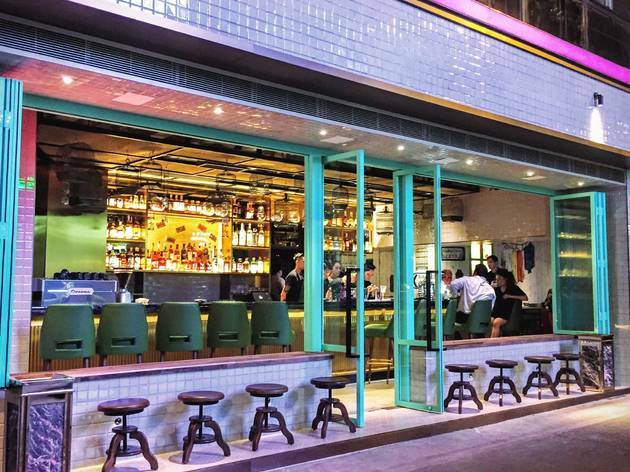 When hoarding depicting the face of chef Harlan Goldstein took the space formerly occupied by La Piola, obscene gold graffiti on his head served as a shiny illustration of how Hongkongers felt about the sudden closure of one of the city’s most reliable drinking holes. Fast-forward a few months and Goldstein is out and Lee Lo Mei is in. The two-level space is the fourth and final member of the 8 Lyndhurst revamp by ZS Hospitality. The wet market-inspired theme sees white tiles, red lamps and birdcages mingle with frescoes of old Hong Kong. 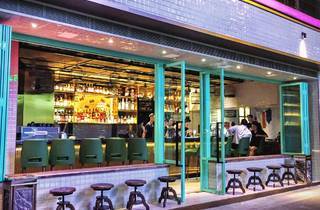 Where other bars might have gone for touches of HK vintage, the open-fronted Lee Lo Mei has gone balls deep. We applaud it. The short cocktail list is well thought out. 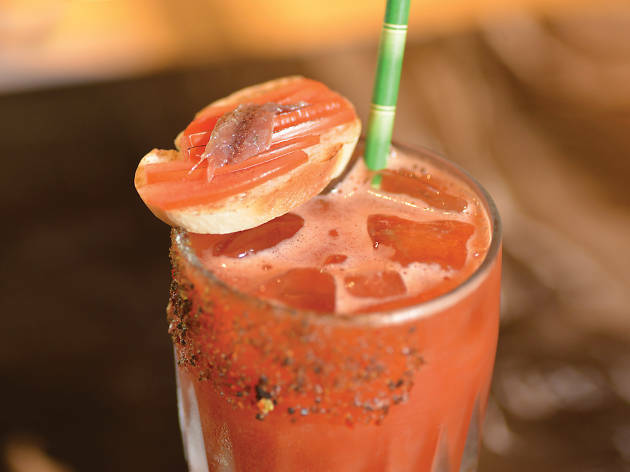 We start with a Bloody Victoria ($128), a Bols Genever gin-based tipple with lemon and tomato juice, Shaoxing wine-infused kaffir lime leaves and chilli in an anchovy-spiced salt-rimmed glass. 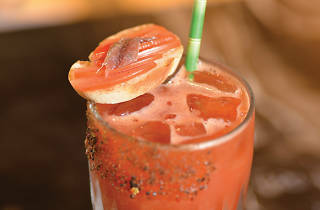 It’s spicy, multi-layered and the best mary we’ve had in some time. We also enjoy the Brittle Fashioned ($128), which features house-infused peanut butter rum, Shaoxing wine reduction and chocolate bitters, though it’s a little too sweet. With an excellent list of spirits and an inviting atmosphere, Lee Lo Mei is perfectly set up to fill the shoes of its predecessor. And, maybe, then some.